Updated Thursday July 19, 2018 by Fred Steigerwalt. 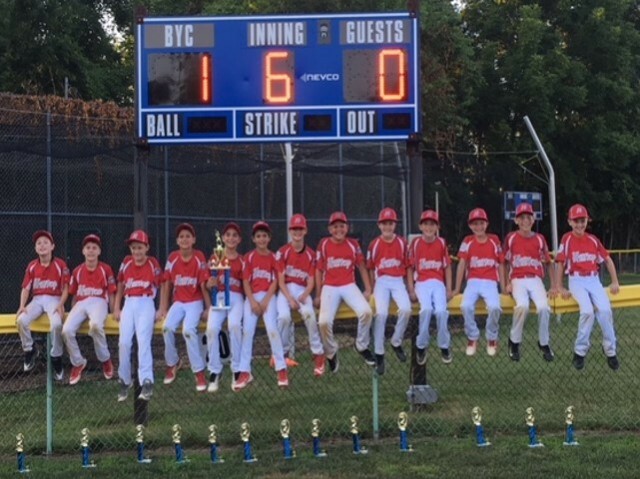 Congratulations to our 10uB Baseball team for winning the Inaugural 10u Select Cal Ripken State Championship with a 1-0 walk off victory vs. Doylestown last night. Six shutout innings by Sean Reavey and Gabe Danisi before a Carson off triple and walk off single by Ryan Kelly. We will see you on opening day for your jackets and board!